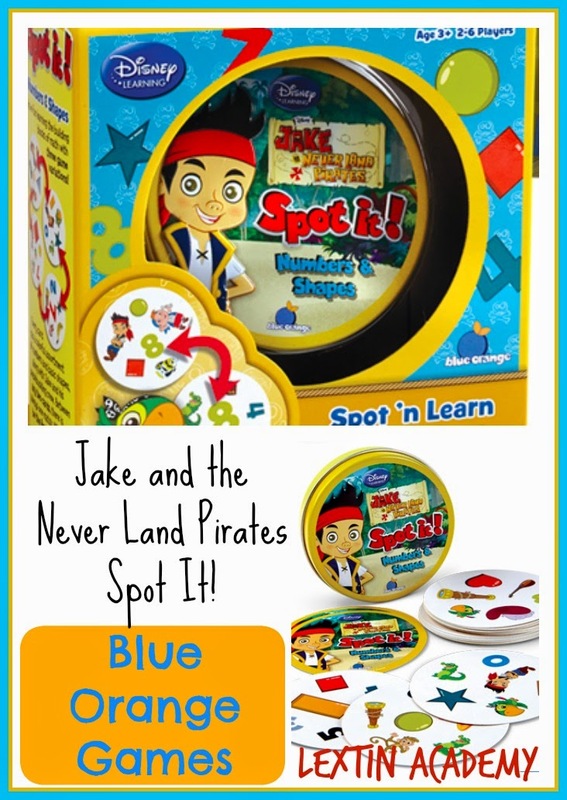 We had the fun opportunity to add a new game to our game closet when we reviewed Jake and the Never Land Pirates Spot It! Game from Blue Orange Games! This was a great addition to our family game nights. Have you ever played Spot It? 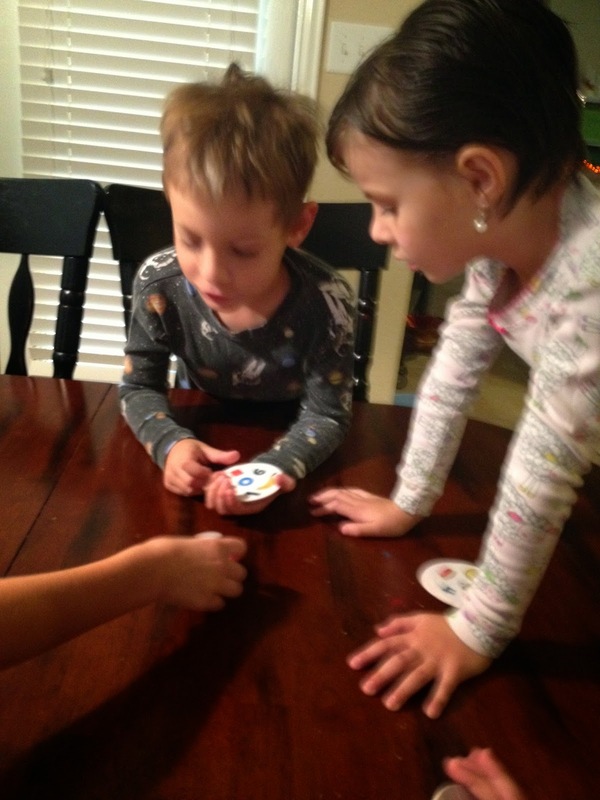 It’s the “eye spy” game that the whole family can play together. The game comes in a small round tin and contains over 30 cards that are printed with colorful images. This game contained shapes and numbers to promote identification of various shapes and numbers. Between any two cards there is only one matching symbol between them. Each player has to quickly find this match in order to play. With this game, there are even 3 versions of play to add variety and present new challenges. Two cards are laid face up on the table. All players quickly try to be the first two find the matching symbol. 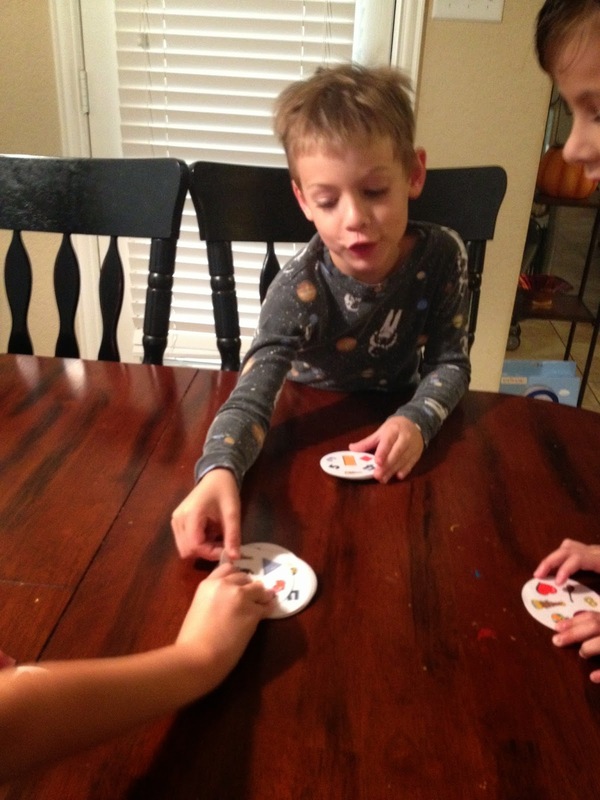 As soon as one player finds the match, he calls out the name of the number or shape and collects the two cards to add to his pile. Then the next two cards are turned face up on the table for a new round. The person with the most cards at the end of the game wins. The cards are shuffled and each player is dealt one card while the rest are placed face up in a pile in the middle of the table. At the same time, all players turn over their card and try to spot the symbol on their card that matches the card in the middle of the table. The person to find their match first calls it out and collects the top card from the pile. This top card is placed at the top of their personal card pile and the game continues with everyone trying to match their card with the symbols on the new center card. The person with the tallest personal tower wins the game. One card is placed face up in the middle of the table and all remaining cards are dealt face down to the other players. All players turn their card pile face up and begin to search for the match between their card and the middle card. The first person to see a match calls it out and places their card on top of the center card. Play then continues with each player trying to match their top card to the new center card. The person who runs out of cards first is the winner. 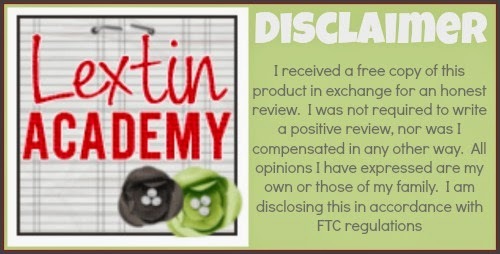 This is a fast-paced and fun game that is perfect for family night. It was great that my non-reader kids could join in the fun as they could easily recognize the shapes and numbers in order to match them up. That meant that the 3-year-old could play along with the 8-year-old without needing any extra help from mom or dad. What I loved most about the game was that it was easily portable for trips and it required only the cards in the tin. There were no pieces to keep track of and the clean up was easy. Also, the games last only 10-15 minutes so game time is short – which is perfect when you are playing with little people. We loved this Spot It! 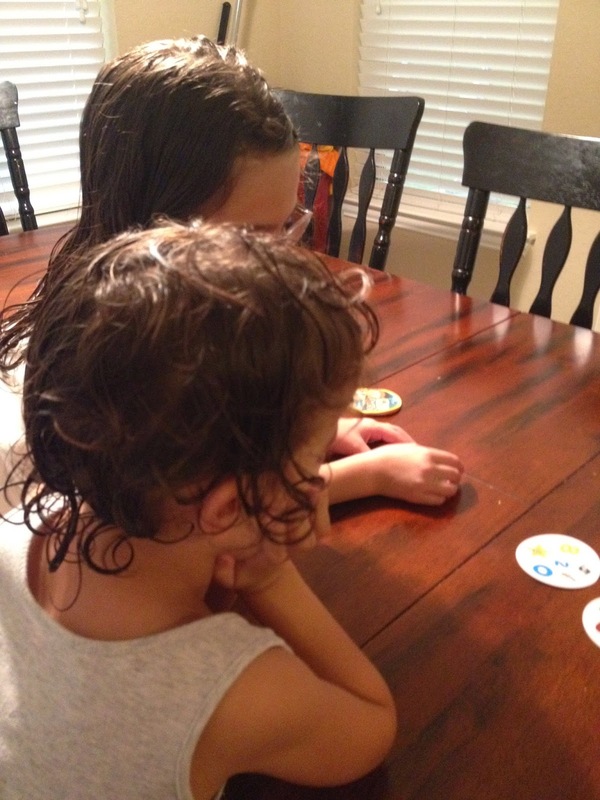 game and found it to be an exciting and simple activity for family game night! This game is for ages 3 and up and for 2-6 players.